Didn't see any tile errors or anything that looks out of place. This looks okay, except for a few things. Palette transitions look awkward, and a few trees look kinda weird. In the end, voted for moosh. Nulled the vote since I'm in this one. On Moosh's- I know what this is and given what you're doing, I can't say I blame you for your perspective on interiors. Unless you're not doing what I think, in which case the tileset is still fairly unique. I'll probably pull some ZC chicanery to make things look less awkward in the quest. 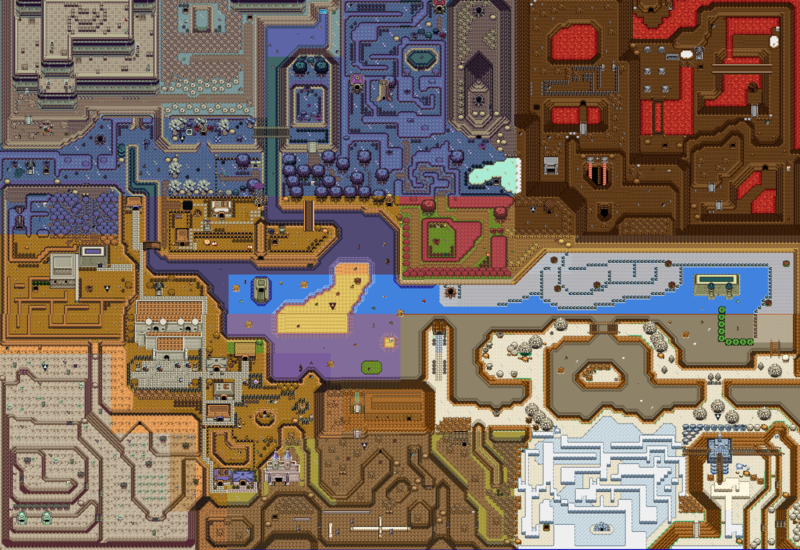 That map has more of those transitions than anything else I've done, I believe. Moosh - I really like this map, feels very NES-like. 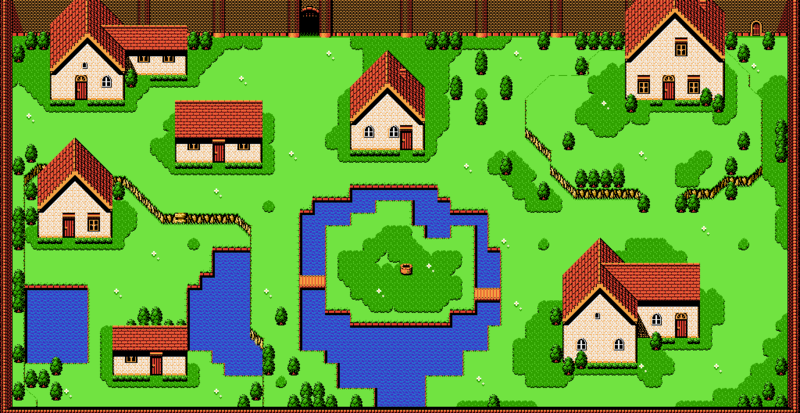 It also seems to remind me of Earthbound for some reason (probably because of the diagonal mountains, I dunno lol). Got no issues with this one, good job! ywkls - Looks like a decent map, definitely improving. But I feel like there's a lot more improvements you can make. For one, there still is a bit of lacking detail with the ground in some parts. For the mountain areas, probably put more rocks or slabs and stones. In the forest areas, probably add more flowers, a variety of grass tiles, and maybe some more bushes to make the world feel more natural. Also, I'd try and not make mountains look so straight. A lot of areas have really straight mountains which makes the map feel quite weird. I'd try and make the walls less straight by making them kinda more diagonal and all over the place. It might look messy, but it's better than having them straight IMO. I voted for Moosh this month. Voted for Moosh. Feels like something from the NES. Edited by Titanium Justice, 04 January 2017 - 12:15 AM.